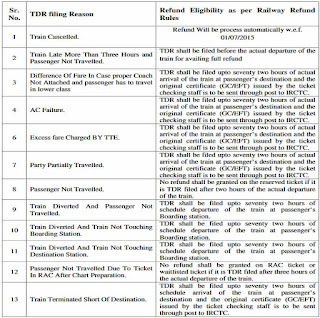 departure of the train, flat cancellation charges of Rs 240 for AC First Class/Executive Class, Rs 200 for AC 2 Tier/First Class, Rs 180 for AC 3 Tier/AC Chair car/AC 3 Economy, Rs120 for Sleeper Class and Rs 60 for Second Class per ticket is deducted from the amount. 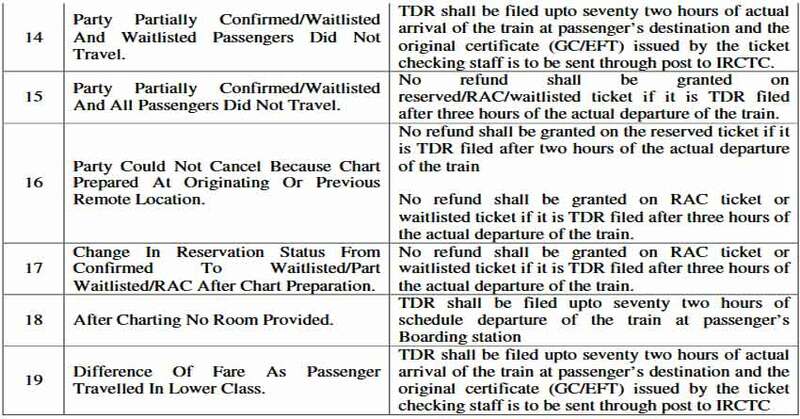 A passenger can file TDR if he did not travel by train he booked a ticket in. There are around 19 categories in which you can file a TDR. One of them is a failure of AC. 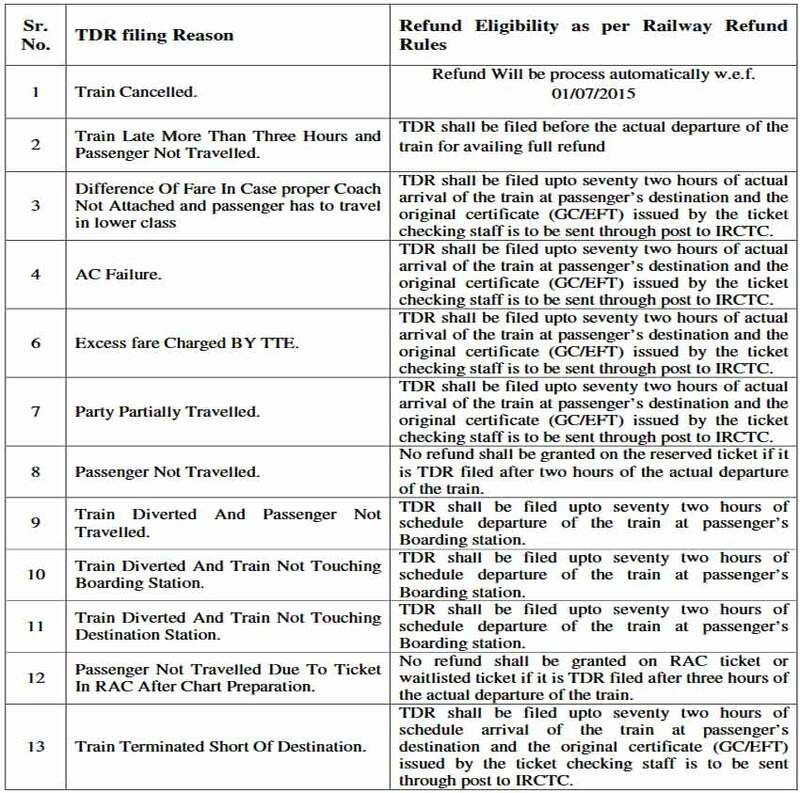 If you have booked a ticket in any air-conditioned classes but travelled the distance without AC due to its failure, you can claim a refund by filing TDR. However, for that, you must get a certificate for same from the TTE. 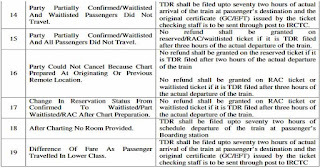 "In case AC Failure or travelling in lower class due to coach damage / low capacity coach, the online TDR shall be filed up to seventy-two hours of actual arrival of the train at passenger’s destination and with the original certificate (GC/EFT) issued by the ticket checking staff (TTE) at the time of journey," an IRCTC document said. Refund will be processed through TDR only after receiving the original certificate (GC/EFT). 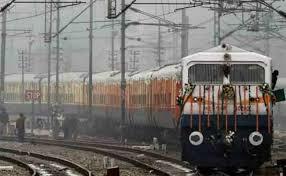 IRCTC will forward the claim to Concerned Zonal Railways under whose jurisdiction the train destination falls. After receipt of the refund amount from the said Railway, the refund amount will be credited back to the same account of the user through which payment was made through opted payment Gateway.